There are varied levels of difficulty for varied levels of learners. We have added, modified and changed these routines through the year based on the student abilities and progress! They are doing great! How can we move varied sizes of rocks (some very heavy) from the corner of his backyard, to the side of their house so that a new swing set could get put in. 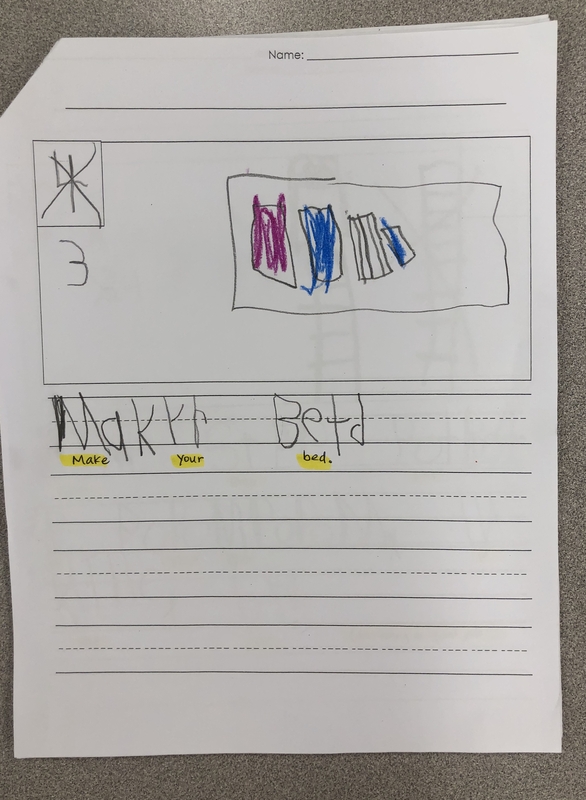 The students each went back to their “Wondering Journals” and tried to come up with 1-2 ideas of devices that would solve the problem. Their ideas blew me away. 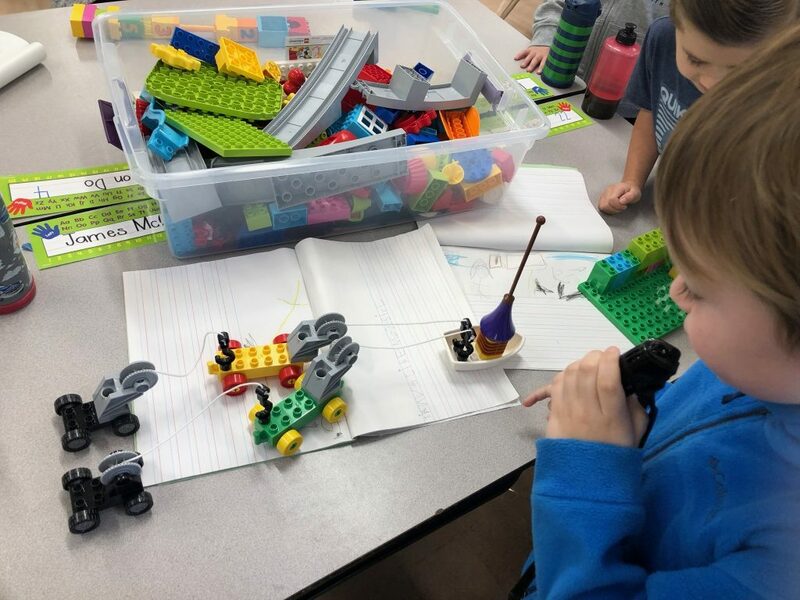 This week we used our legos to try and build one of our device ideas. 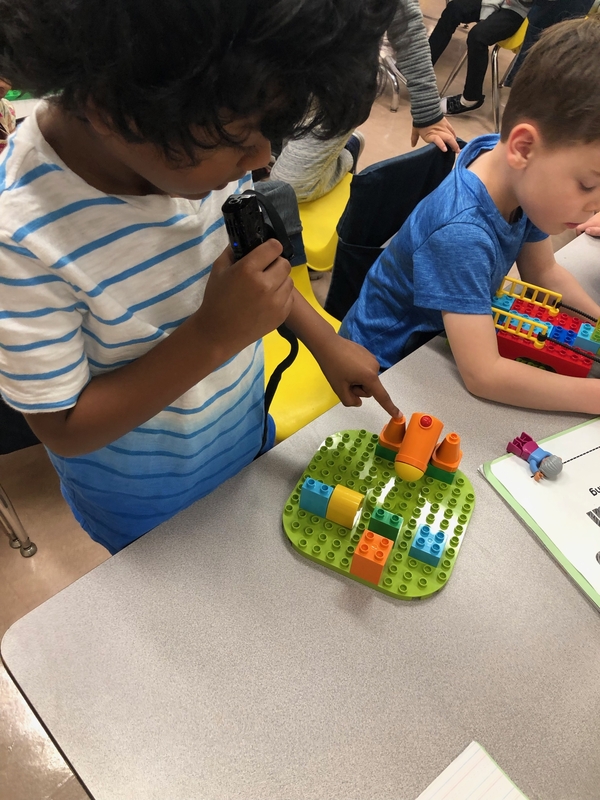 We also noticed that when we started to build, we changed some of the original ideas we had drawn into our plan. 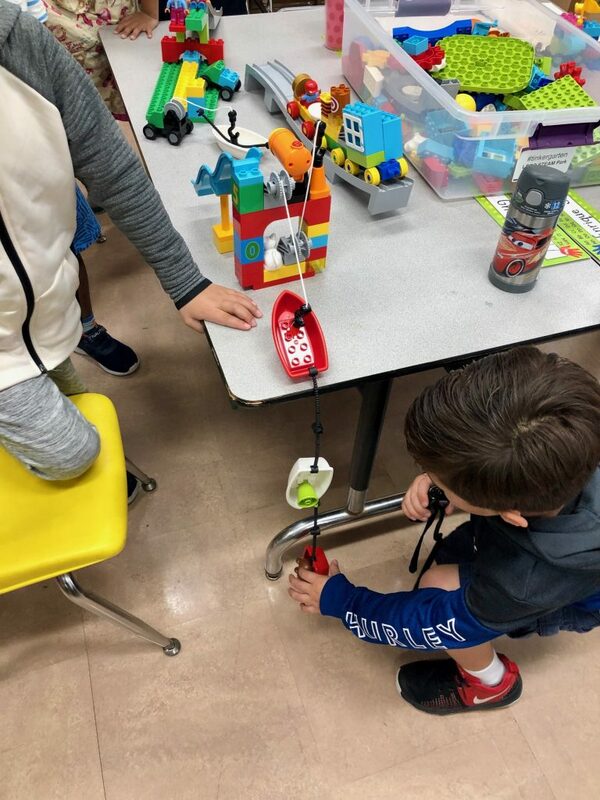 Check out some of these devices and the inventors explaining their ideas and how they work! We have a future unit coming up on Human Impact to our Earth!! Super excited! The 100th day is quickly approaching! A reminder will also go home but we are celebrating in a few different ways! Most of the activities are optional (except for 1 as it will receive a listening/speaking grade when students present/read it). Check below for a recap of what we are doing. Please reach out if you have any questions. 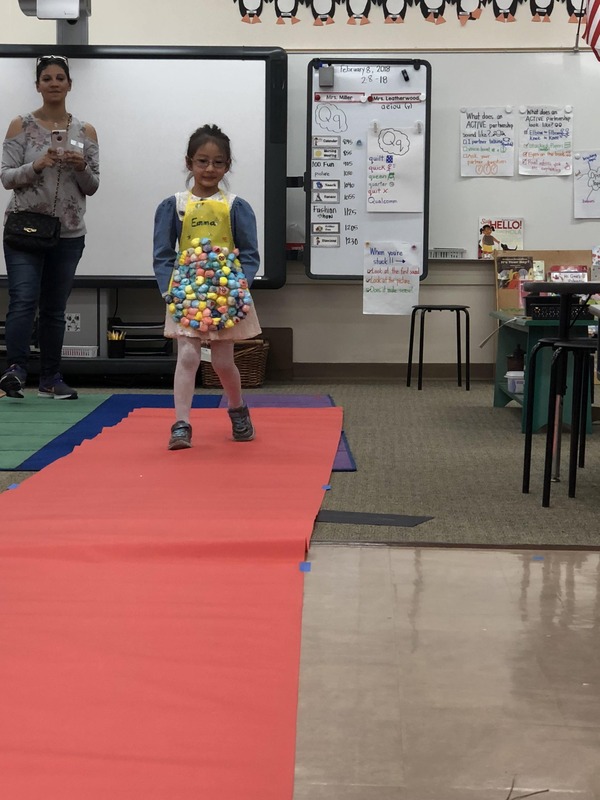 100 Item/Design Aprons – to be modeled on the 100th day! 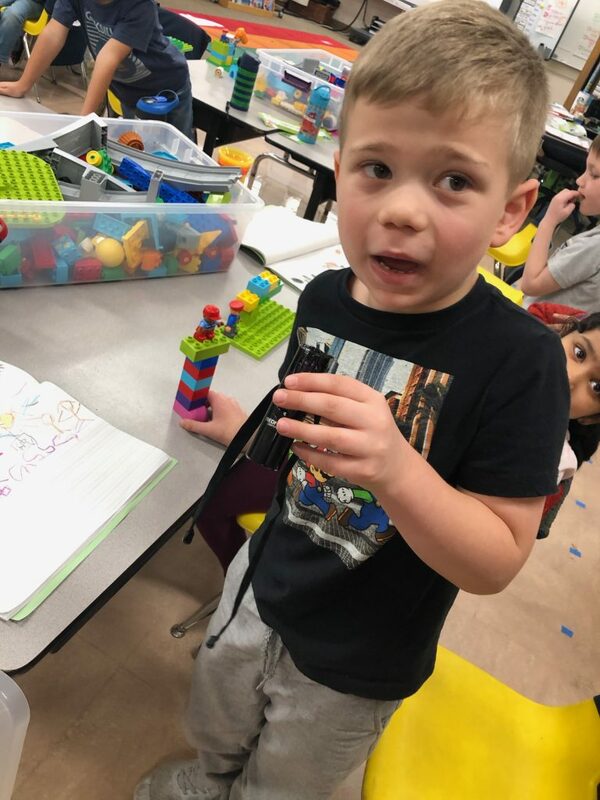 100th day activities done in class on 2/6/19 (please let me know if you are available to volunteer as we need a couple parents to help run a station). 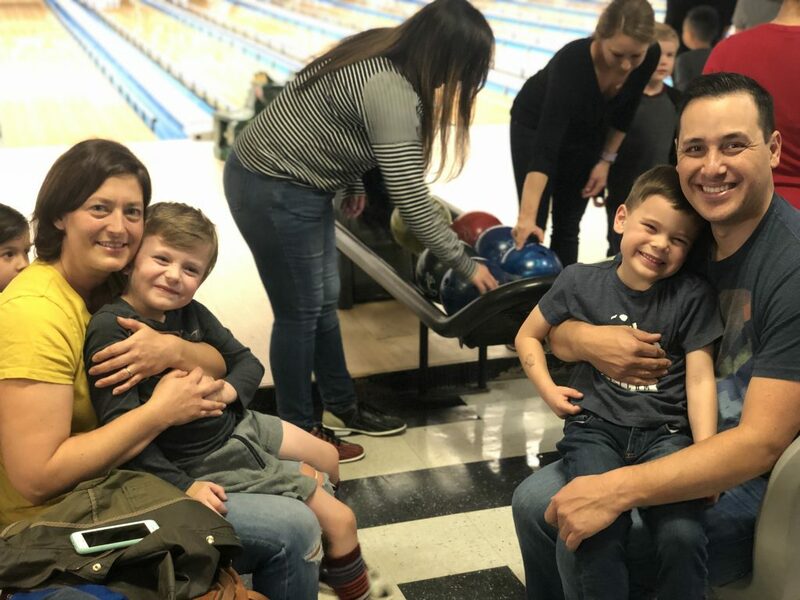 This is a special and fun day that we look forward to every year! The pictures will be way too adorable! I promise you will enjoy it! Valentine’s Day is approaching quickly! We will be having a party on Thursday, Feb. 14th sometime between 9 – 11 am. More details will go out soon. Please remember when making your Valentines, to only label who the valentine is from not who it is to (as it makes it extremely challenging for each student to pass out when they are individually labeled. Thank you for your help in this! There are 24 students in the class. As a friendly reminder, students are not able to send any candy or food valentines. 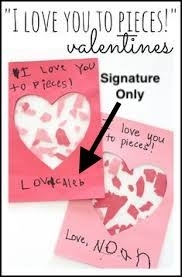 If you need ideas, please visit Pinterest for non-food valentines. 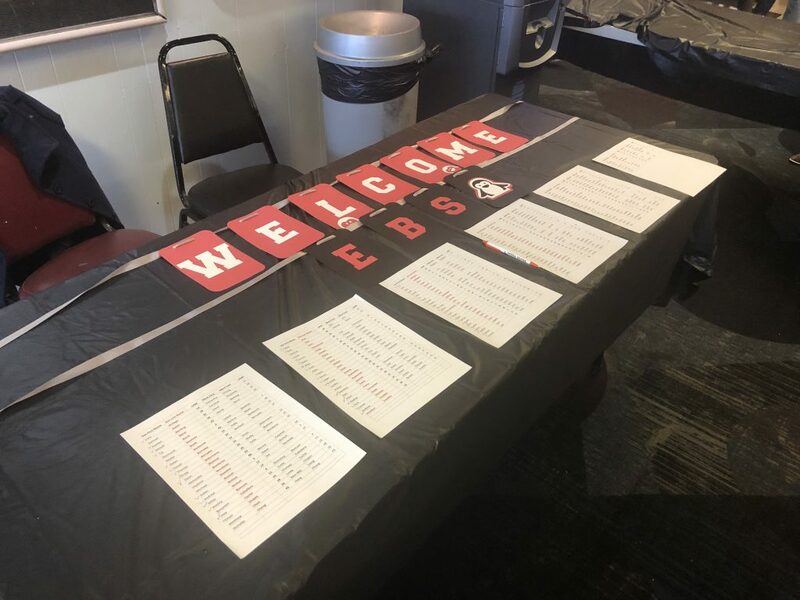 This is completely optional, but very exciting for the students to give any type of note, treat, message to each of their peers! Copiers Down – Need a Reading Log? Our school copiers are on their last legs and should be replaced soon, therefore I was unable to copy more reading logs this week. I should be able to copy more this week, but if you are in need, remember you can always write or print your own reading logs from our resource page on the class website or feel free to write down books read on paper. 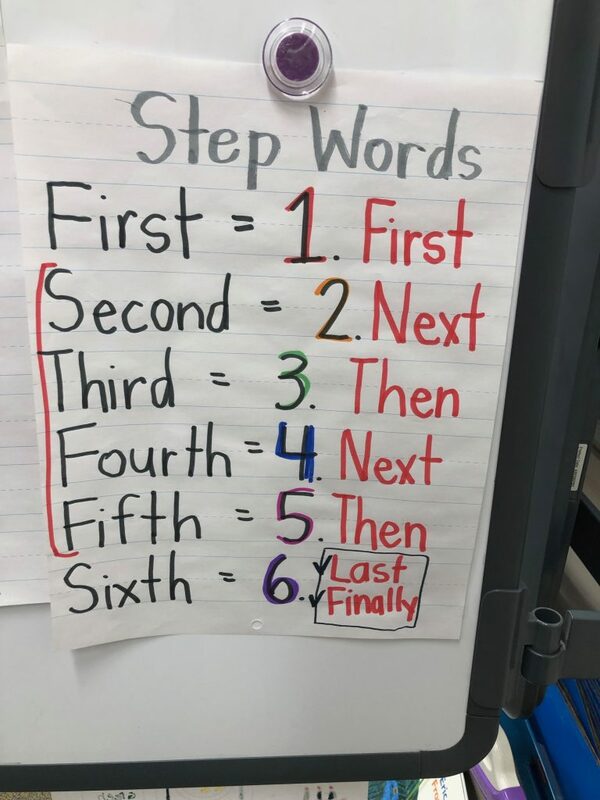 Please remember you are always welcome to leave any questions or comments on the log if you are wondering anything about your child’s reading progression. If you are new to EBS you’ll want to know about EBS Idol! Its our annual talent show and such a hit to watch or participate in! Students can perform an instrument, a skit, a song, a dance in front of our whole school audience on a Friday evening show time! 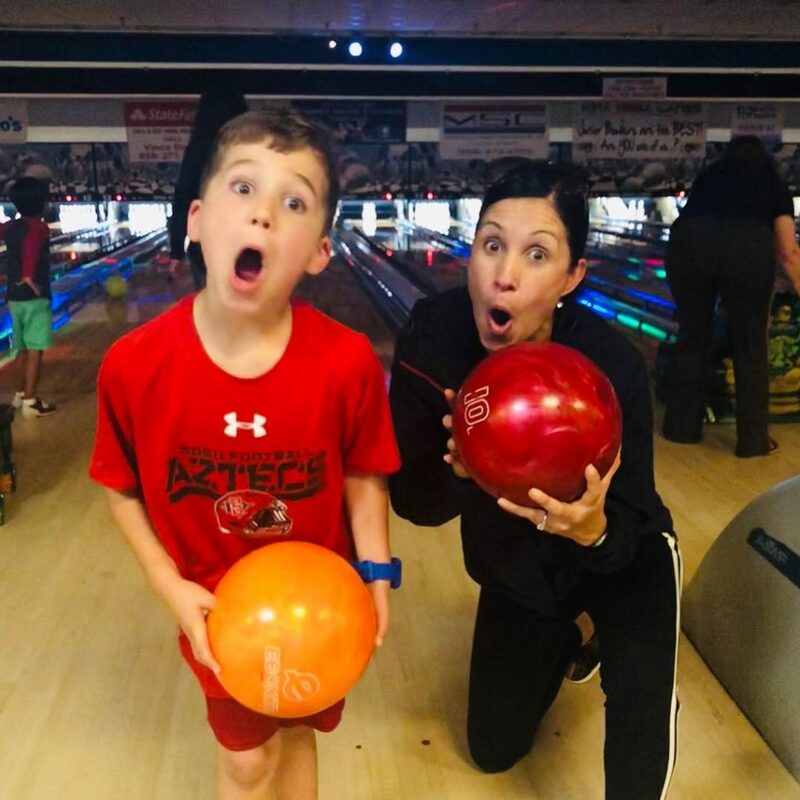 Its a great experience for kids and super memorable! My favorite part is the courage students muster to perform in front of so many! Watch for upcoming details to participate and mark your calendars for the April 12th evening show! To help those going through the furlough, we are having a school food drive. We are trying to get all students to bring 1 can to help keep the food banks full to help those families. As a school we can provide 750+ cans if everyone bring one or more cans. Would you be willing to help?? 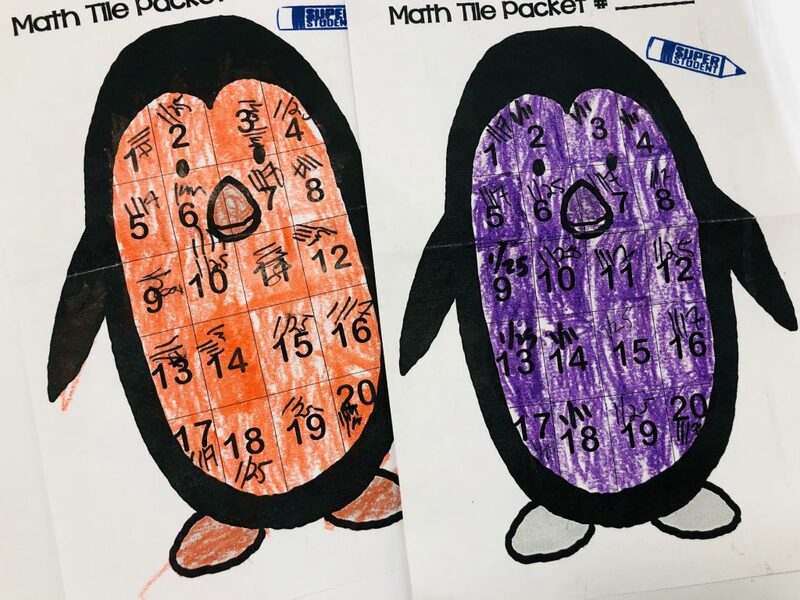 If you receive a Math Tile Penguin that is all colored in like the ones below it means that your child completed and entire set/level of Math Tiles! Give him/her a huge congratulations as it means they are moving on to the next level! Great perseverance!! Each week, Mrs. Sloan chooses 3 Super Penguins from the school raffle! This week was our very own 206 student! Give a round for his effort and excellence! 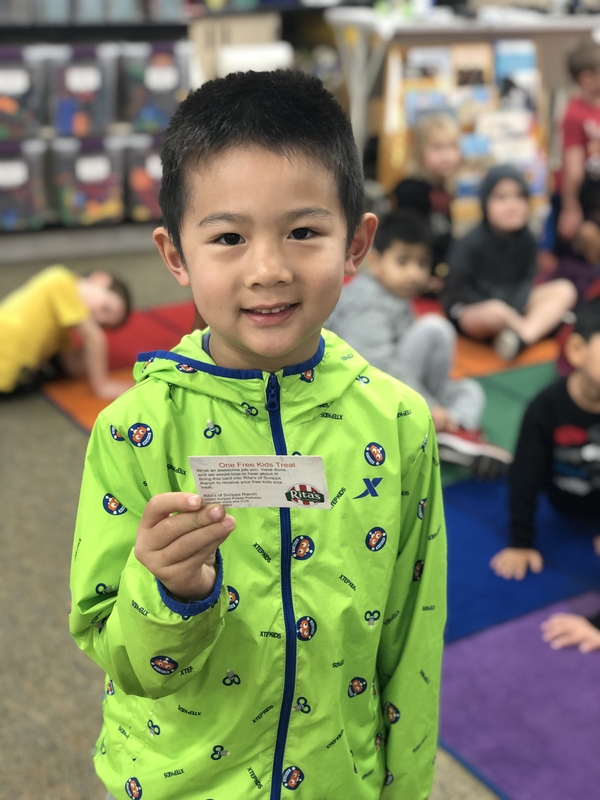 He won a gift card to Rita’s! 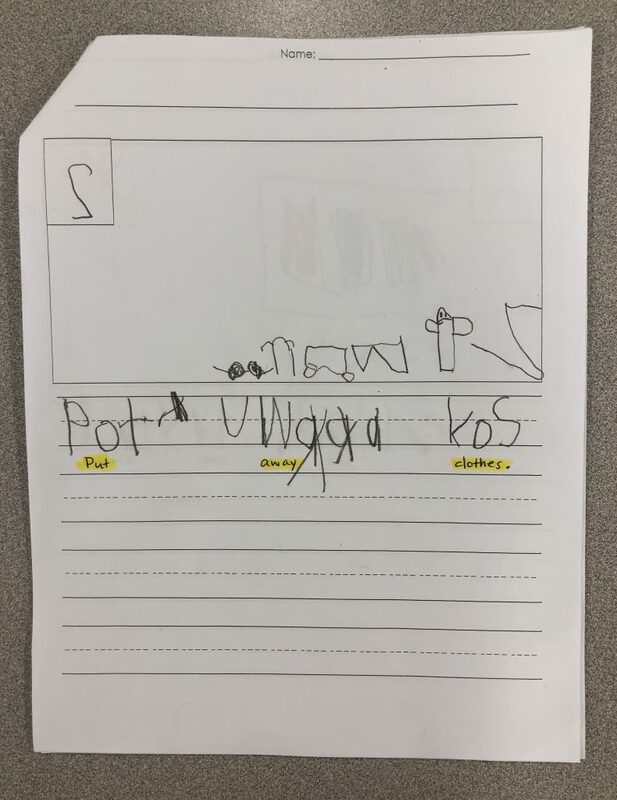 Keep on working on those sight words! The new list for February is coming out next Friday! This will be the light blue list! 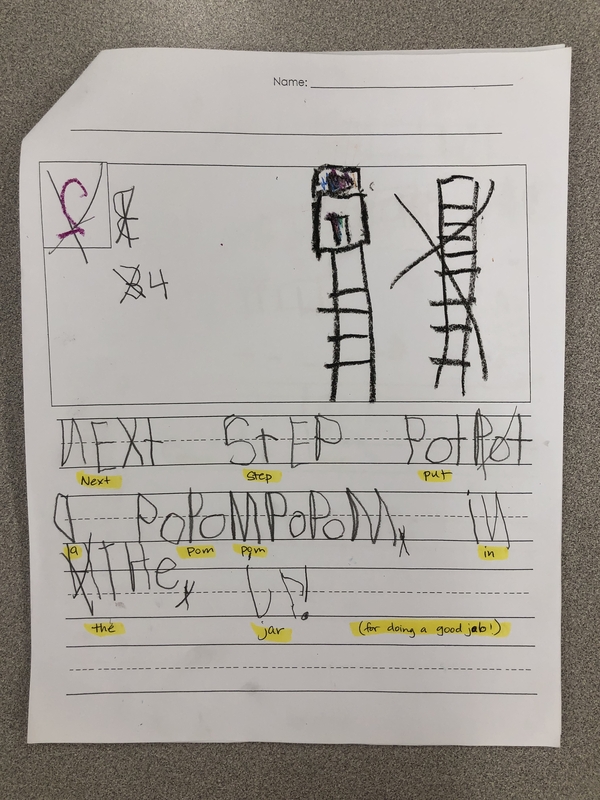 This is an amazing skill that will strengthen their reading and writing AND prepare them greatly for kindergarten next year! January 29th and February 1st – Mrs. Taber teaches! February 8th – EBS Father Daughter Dance, Register Soon! 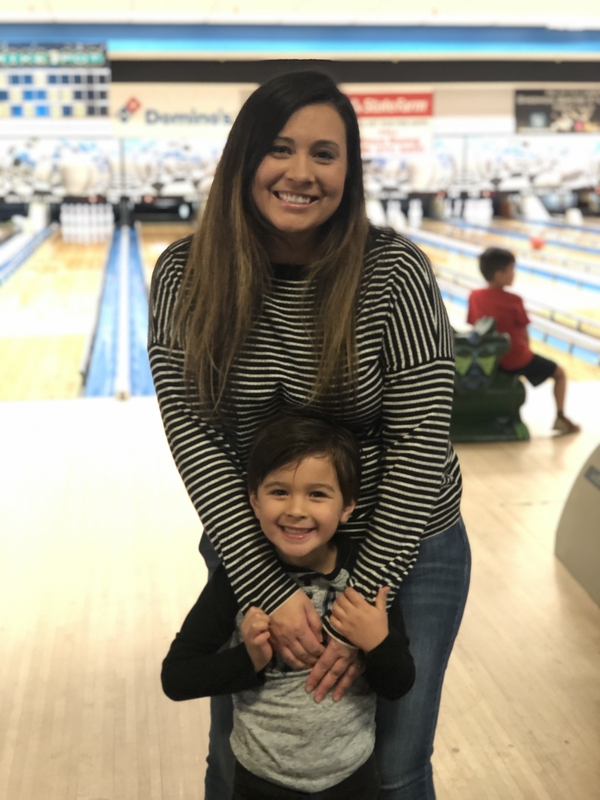 Mrs. Taber will be teaching! Our kind neighbor, Mrs. Offord is swapping her class Chromebooks with us for some STEAM materials! We have been able to log into ST Math and soon we will get on RAZKids in class. The log in process is little different than the computer lab since the Chromebooks remember them by name. The kids are navigating the new modified process but we have almost every student who is able to type in their own Password now! 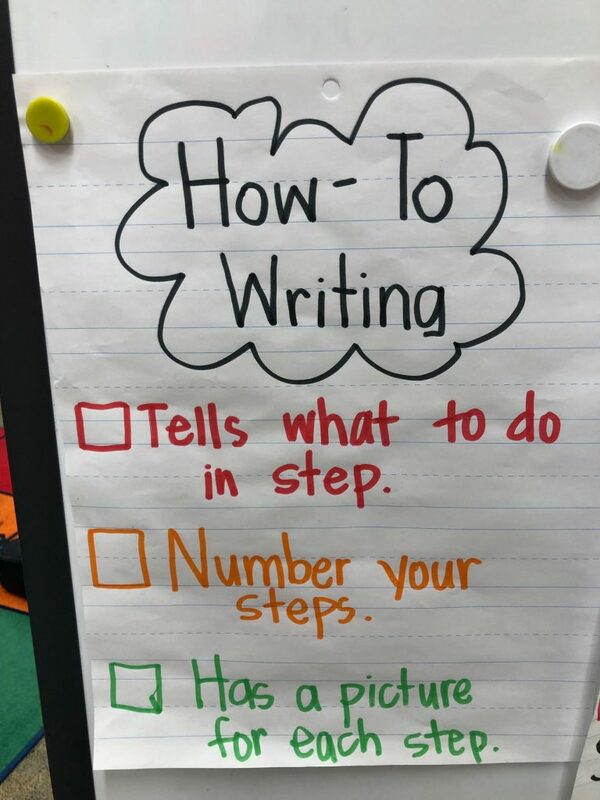 We have continued with our How-To Writing this week! The students are doing great! 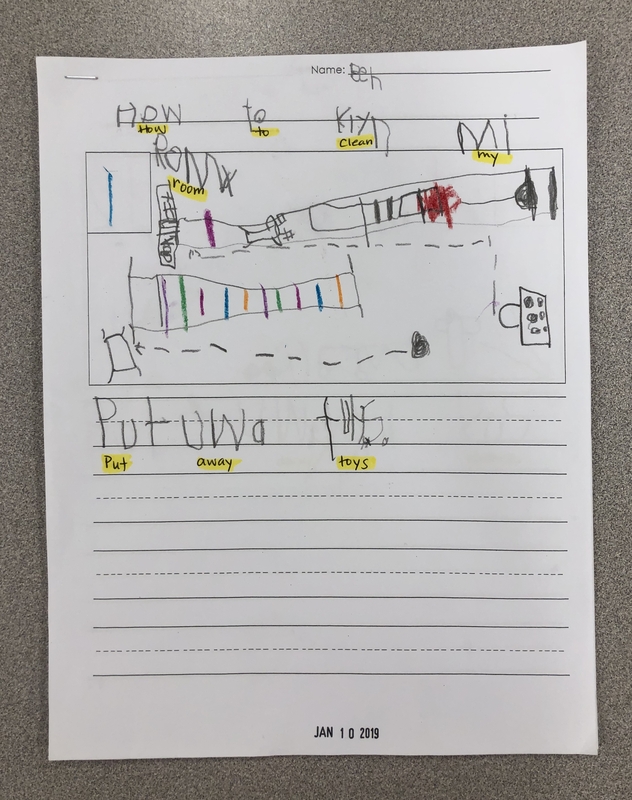 They are progressing in understanding how this informational text works and how to write procedure in steps with visual pictures that match! Check out this student book on How to Clean Your Room! We also started Math Tiles recently! 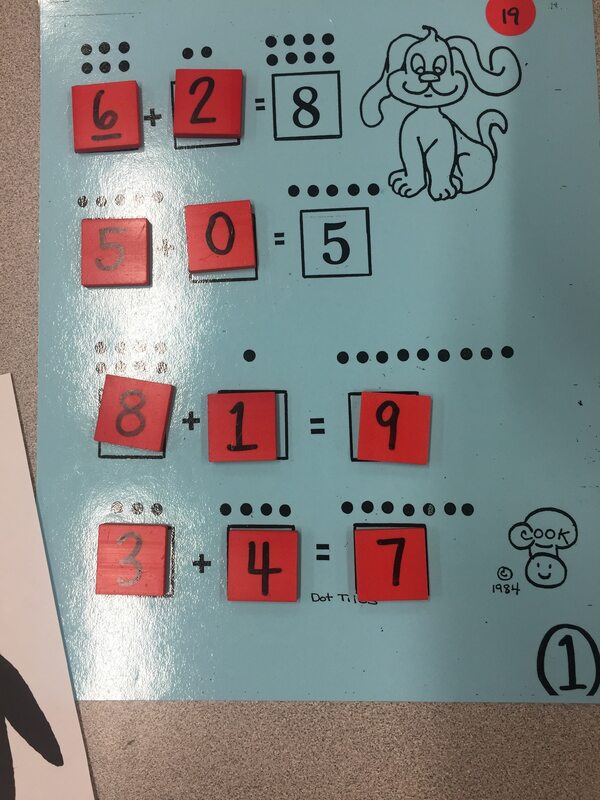 This is a program used in TK – 1st grade at EBS that builds Math Concepts and Number Sense. It begins with very basic counting and number matching, and gets more challenging as they move through the levels. The students are doing fantastic! See a sample below! For the 100th day of school there are many ways in which we will acknowledge and celebrate this monumental number and day. An information sheet will be going home on Wednesday to explain all the parts but here is a snap shot of them now. The apron is one part of our day and went home this past Thursday. 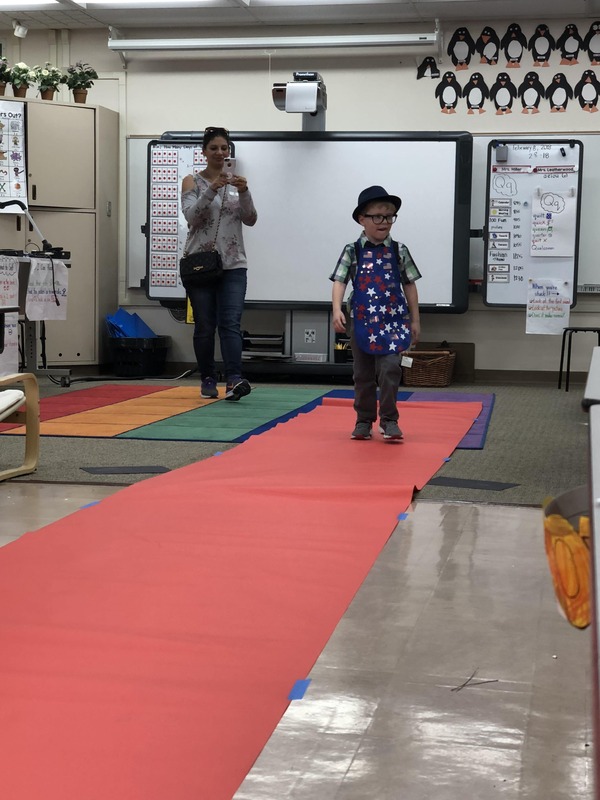 100 Day Aprons – You received directions and an apron for the 100th day. These will be used for a Fashion Show on the 100th Day! 100 Day Writing – This will go home this week, but is a simple writing prompt that parents can help students will The grade will only be based on the presentation. 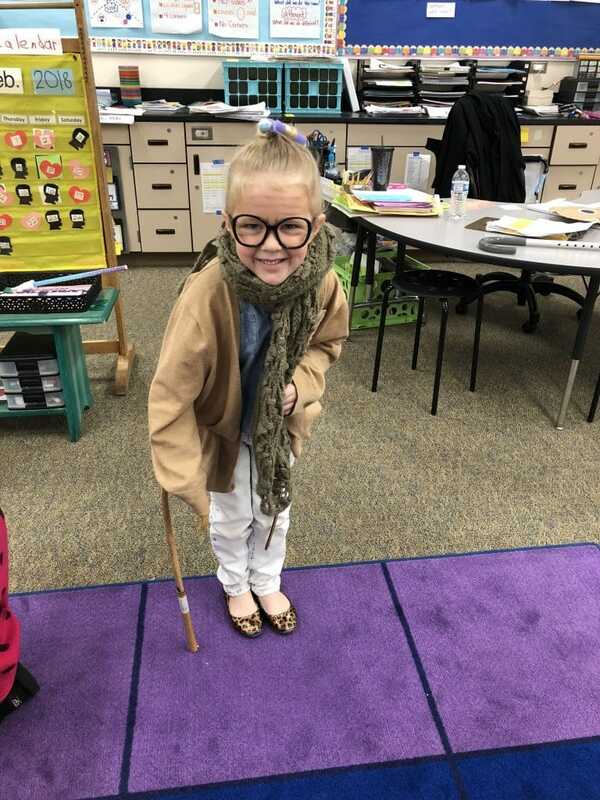 Dress Like your 100 Years Old – On the 100th Day al Kindergarten and TK students (and teachers) will be dressing like they are 100 years old. This information will also go home this week! It is purely for fun and super adorable! Be creative! 100 Day Activities – On the actual day of 100 Days of School we will be doing a few different activities to celebrate in addition to the Fashion Show. 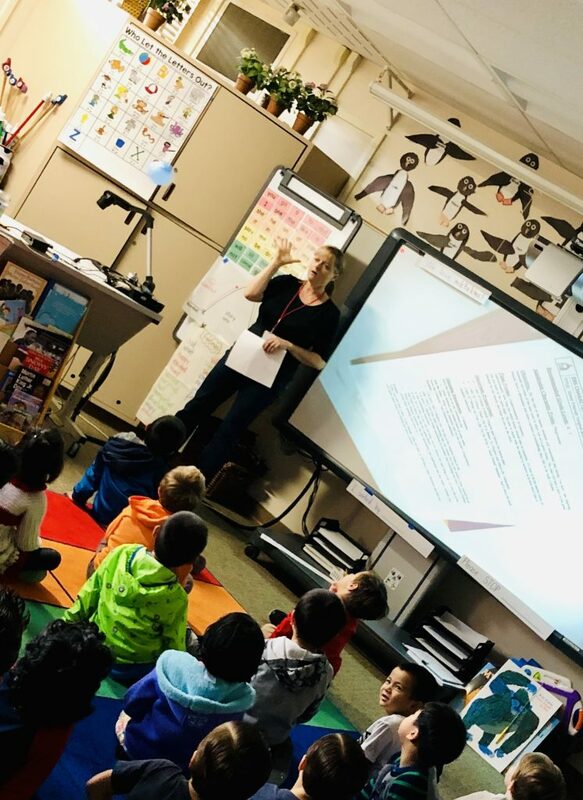 This past Friday, Deb Marich came in to teach us about our January is FORGIVENESS. This was a big concept for our TK’s to understand and Deb personally tailored this lesson to fit these guys. First she explained making a mistake and how we apologize for what we have done (even by mistake). Then she explained the concept of saying, “Will you forgive me?” She read them the book, Words Are Not For Hurting? 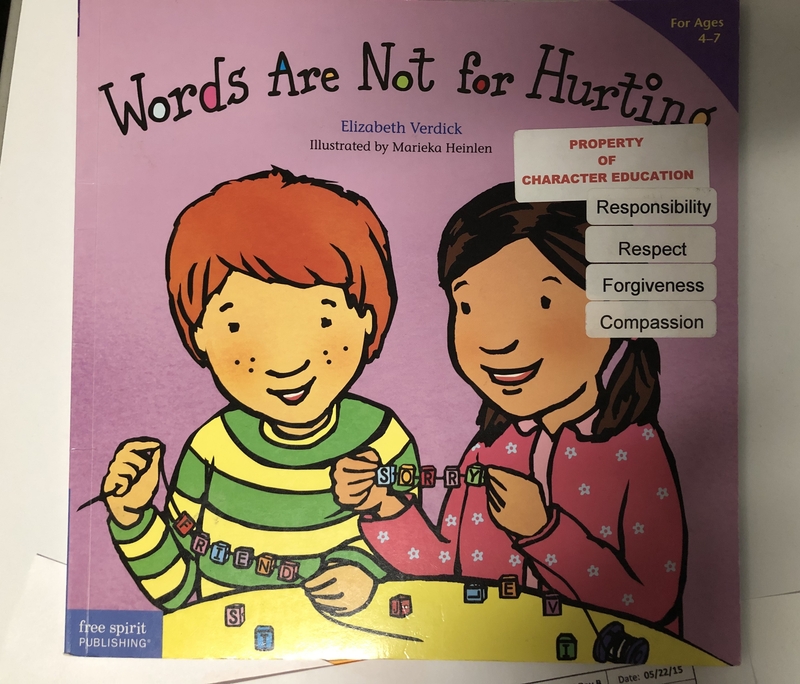 The concept of this book was to use words for helping not hurting, but if we misuse our words (by mistake) we can ask for forgiveness to apologize, forget and try again. The book also touched on the feeling of regret and fixing our mistake after we say hurtful words. Next she used blowing up a balloon to demonstrate the concept that when we are getting frustrated our balloon inside us get bigger and bigger. Rather than going crazy with built up anger (letting the balloon run wild while air escapes), we can calm down and slowly release air in small spurts by the tips in the song below! This is where she sang a song to the tune of “If you’re happy and you know it…” to show how to calm down when we are mad. 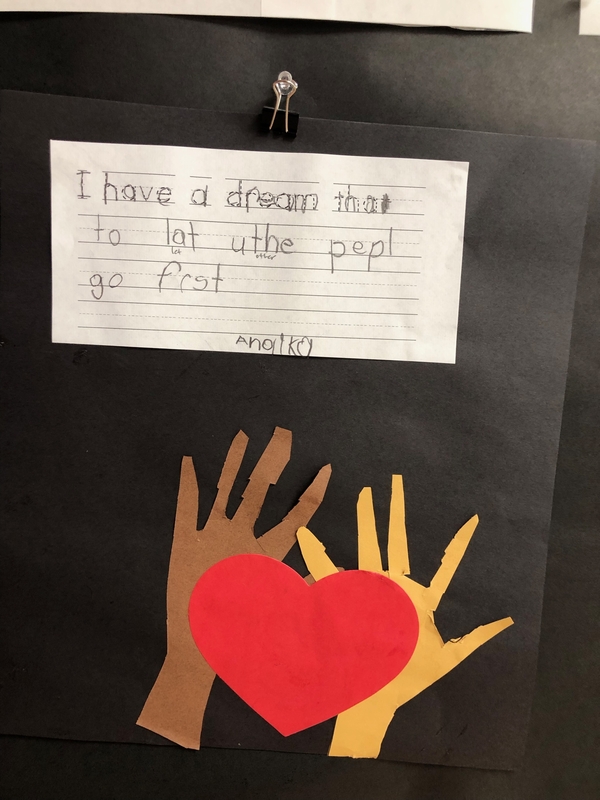 This past week, we read about Martin Luther King and how he wanted to make the world fair and a better place. We touched on some of the injustices during his youth and how he was brave to peacefully speak out to help gain equality for all. 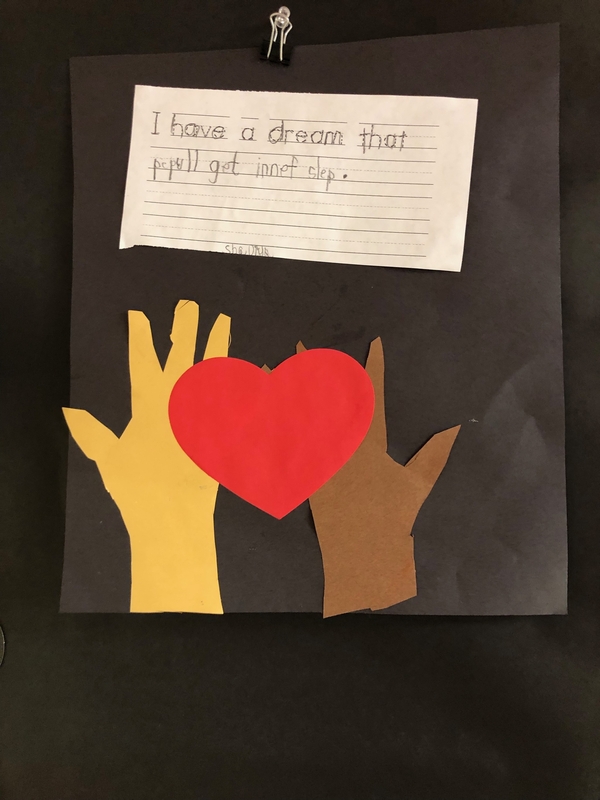 The students made their own art and wrote what their own, “I have a dream…” statements. Mrs. Van Duren will teach. 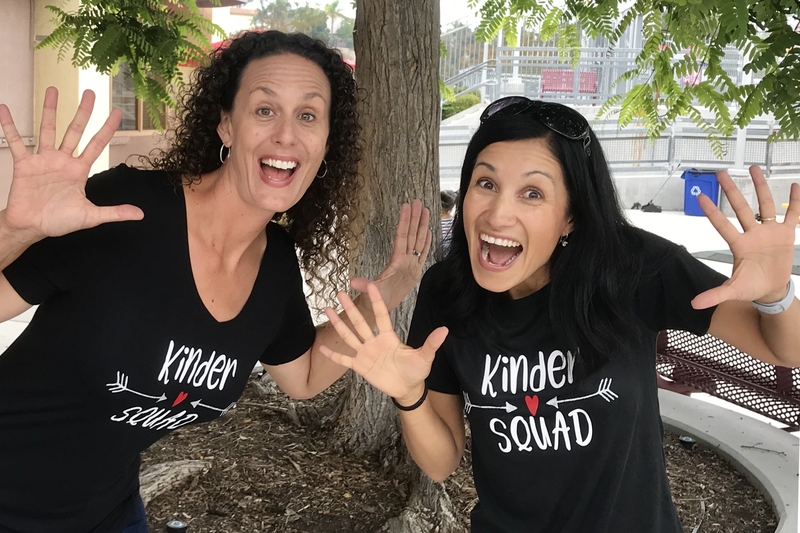 Mrs. Miller will be at STEAM training!